Analysis: Does School Business Manager Fate Hang on Finances or Politics? Brian O’Connell, Haverhill Public Schools’ business manager, appears to be on the verge of losing his job. Depending on who is asked, O’Connell is either someone who bungled the school budget or a victim of the political winds that sidelined the former school administration. O’Connell—a 34-year member of the Worcester School Committee, a lawyer and someone who has worked in school finance since 2002, has served mostly quietly and behind the scenes for a little more than three years. Haverhill School Committee Vice Chairman Paul A. Magliocchetti. Even though his $130,000 contract ended last June, O’Connell is still a city employee and his formal termination may require a two-thirds vote of the School Committee. The plan seems to be to show O’Connell the handwriting on the wall and ask him to leave on his own. Failing that, some believe he can be dismissed at the end of the school year next June. 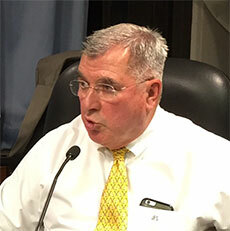 Neither confirming nor denying the plan, Mayor James J. Fiorentini told WHAV any future legal or procedural questions will have to be decided by City Solicitor William D. Cox Jr.
O’Connell told WHAV he has not yet been approached by anyone about his future—something he expected after Thursday’s School Committee meeting. “I’ve thoroughly enjoyed, literally, every day I have worked in Haverhill. There is wonderful, warm support for education and support for the children of Haverhill,” he said. “It’s clearly a challenging position,” he added. “Unlike Lowell, Methuen, Lynn and Burlington which ran deficits, we’ve worked to keep budgets solvent and reduce citizen anxiety. Urban systems do struggle to balance their budgets,” he said. 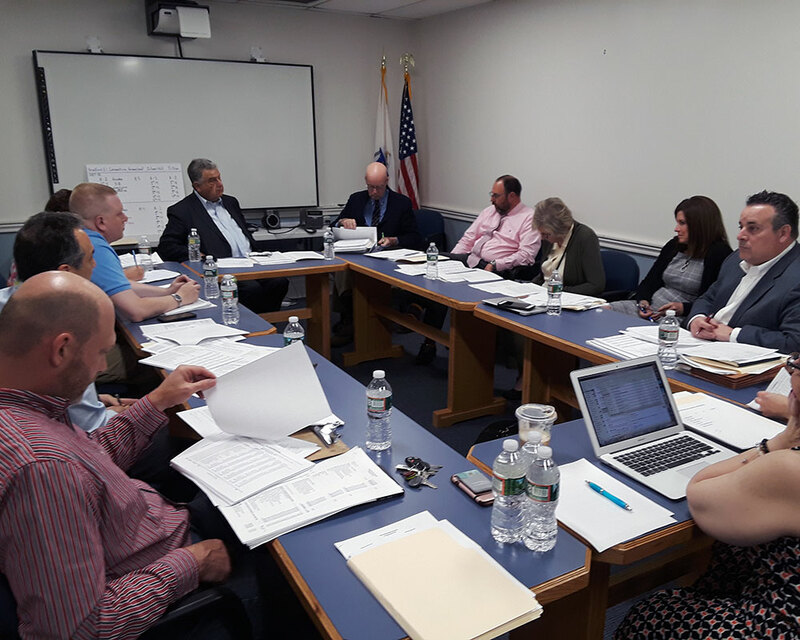 Despite negotiating new terms with School Committee Vice Chairman Paul A. Magliocchetti and member Scott W. Wood Jr., the full board did not advance a new contract at last week’s closed-door meeting. Any action taken during the so-called “executive session” must be reported afterwards under the state’s Open Meeting Law. However, when asked, the mayor responded, “No action taken.” While WHAV was told no votes were tallied, there are reports the majority of the committee, in fact, took an action: informally agreeing to talk with 69-year-old O’Connell about his exit. That session, according to several people with knowledge of the exchange, became heated with a threat of fisticuffs between members. The first public indication O’Connell’s job was in jeopardy came in October when it was revealed the School Department closed last year with a million-dollar surplus. 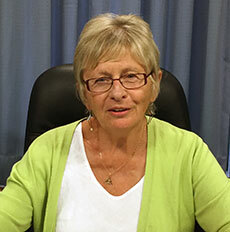 School Committee member Gail M. Sullivan expressed outrage. Yet, in a meeting last May covered by WHAV, O’Connell did tell members there would be a surplus and that he planned to pre-pay items to reduce pressure on the next school year’s budget. It was the same meeting that member Sven A. Amirian proposed adding a little more than $1 million to pay for a list of what were described by school staff as “necessary additional services.” There were no motions at the budget meeting requesting a detail of the expected surplus. When the million figure became known, Sullivan said, O’Connell should have asked the administration for direction. Again, Wood disagreed, saying checks and balances require the business manager to receive direction only from the committee and then after a vote. Demonstrating this independence, Wood added, former Superintendent James F. Scully was not consulted when O’Connell was hired. Rosa said the lack of a formal vote doesn’t excuse a $290,000 budget omission. He said committee members had to scramble to find money to pay for the National Academy Foundation technology program at Haverhill High School. Magliocchetti said he sees the matter in simpler terms. “It brings into question whether he had a handle on the budget, number one, and if he did have a handle on the budget, it brings into question how transparent he was with the School Committee and the mayor,” he told WHAV. “The bottom line is the School Committee and mayor were not provided information in a timely manner when we were going through the budget,” Magliocchetti added. Another paid school staffer, who asked not to be identified, said O’Connell allowed himself to fall victim to political pressure, and failed to demonstrate independence. Former Haverhill Superintendent of Schools James F. Scully. Others contend O’Connell was likely following orders from Scully and then-Assistant Superintendent Jared Fulgoni who remained in charge until July 1. In fact, one claimed O’Connell is simply being punished for being part of Scully’s administration. “They’re replacing anyone who is attached to Scully,” said one teacher, who asked not to be identified because of fear of reprisals. Supporters claim O’Connell’s fate was sealed when he didn’t agree with city councilors and School Committee members that the schools needed more than the $84 million Fiorentini allocated. Asked in June during City Council budget deliberations whether he can manage with the mayor’s budget, O’Connell said he could. The former superintendent said the business manager should be praised for never having a deficit despite being hit with unknown special education costs. “You can call it a surplus, wise spending, money in the bank—the reality of good fiscal management is you don’t want a deficit,” Scully added. Before the last municipal election, many decisions by the School Committee generally favored the views of Fiorentini, Wood, Maura L. Ryan-Ciardiello and former member Shaun P. Toohey. 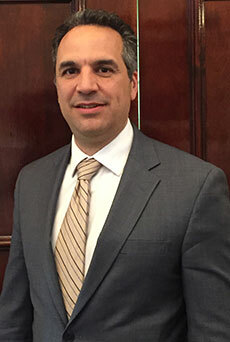 Toohey’s decision not to seek another term and the election of Rosa have since given the advantage to what has been understood as the Magliochetti, Sullivan and Amirian faction.